'Ole Miss' Debates Campus Traditions With Confederate Roots The University of Mississippi is making an ongoing effort to remove potentially divisive and racially charged symbols to try and make the campus more welcoming, but not everybody welcomes the changes. Mississippi Rebels fans cheer for their team prior to their game on October 18. The University of Mississippi has been in an ongoing effort to distance the state's flagship academic institution from its segregationist history. University of Mississippi football is riding high these days; they're undefeated and one of the top three teams in the nation. But as Ole Miss fans come together to root for their team, many other traditions are coming under scrutiny. The school's been engaged in a long-running effort to remove potentially divisive, and racially charged symbols, to try and make the campus more "welcoming." At the corner of Fraternity Row, a short lane that runs past a chapel used to be called "Confederate Drive." Newly painted over, the unassuming white street post now reads "Chapel Lane." "Obviously the name Confederate Drive can be seen as divisive by some people and could be seen as an effort by the university to embrace an ancient idea," says university spokesman Danny Blanton. A state historical sign marks the Confederate Soldiers Cemetery on the University of Mississippi campus in Oxford, Miss. The sign change is part of the latest effort to improve the public image of Mississippi's flagship state school, and with it the ability to recruit and retain more minorities. Last year, freshmen were for the first time required to learn about Mississippi history and race relations. Next, the school will place signs adding historical context to potentially controversial sites, like a statue of the Confederate soldier in the middle of campus. These changes come after a series of ugly race incidents; one egregious event happened in February, when a noose was hung around the neck of the statue of James Meredith, the first African American to attend the university. "I did actually have a pretty big emotional breakdown. I came to campus and I, in all honesty, didn't want my feet to even touch the pavement," says Courtney Pearson. Two years ago, Pearson was voted the university's first black homecoming queen. That's at a university where blacks make up 14 percent of the student population in a state where the overall black population is nearly 40 percent. Many black families remain hesitant about sending their children to the state's flagship university. Despite the noose incident, Pearson stayed. "What I appreciate is that we didn't allow the actions of three students to take three steps back. We're still moving forward," she says. Pearson is now a graduate assistant for the newly-created Center for Inclusion and Cross-Cultural Engagement. 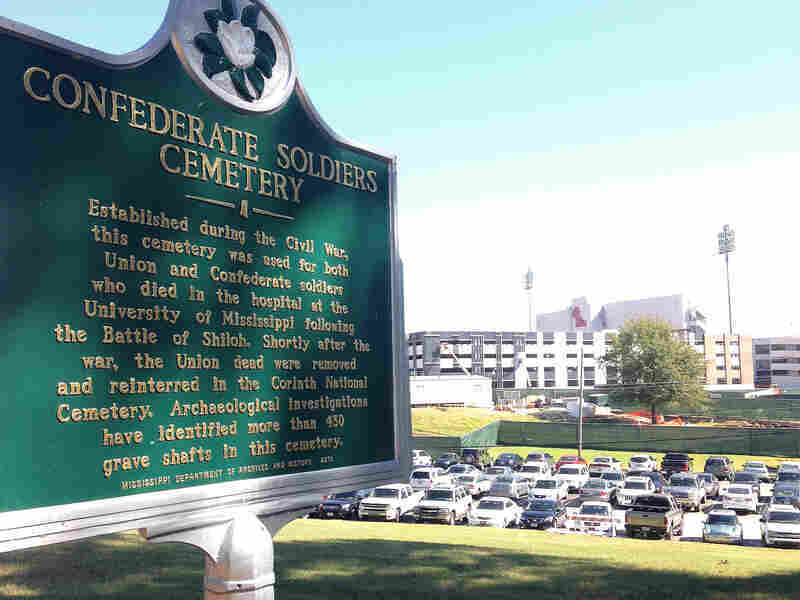 Still, becoming more inclusive means the university must go head-to-head with groups like the Mississippi Division Sons of Confederate Veterans, an ultraconservative history group that sued the school over the sign change. Some students, too, are uncomfortable with the changes. "I'm all about tradition and I think that it should remain Confederate Drive. It's just part of the history of the South," says W.T. Bailey, an accounting and finance student. One tradition that's not changing is the university's nickname, "Ole Miss." The phrase was how slaves once addressed the mistress of the plantation. It's ubiquitous on campus, on signs, sweatshirts and in the football cheer. 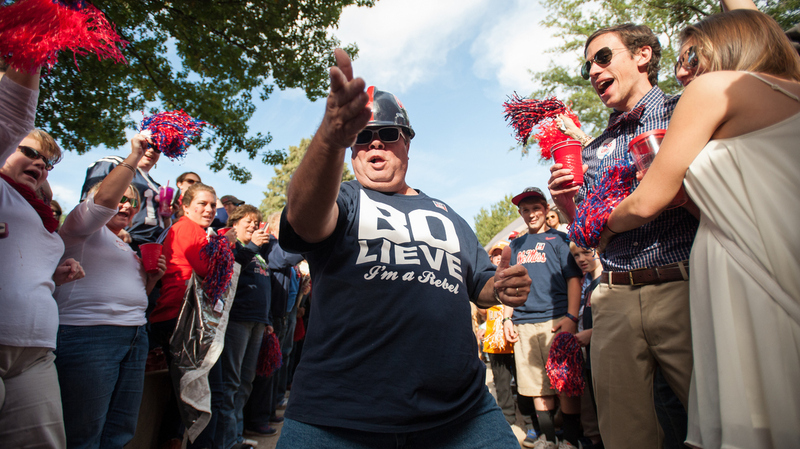 "Ole Miss has been here since I can remember, it needs to stay," says Tommy Lee, a 1982 Ole Miss grad. "That is our slogan: We are Ole Miss." University chancellor Dan Jones also defends the "Ole Miss" name against its critics, saying that the "vast majority of people associated with the university — that includes our faculty, our staff, our students, our alumni — think that the term 'Ole Miss' is a term of endearment." And even many black students here say they like the name, and see it as just a name. "If we are going to be in the football stadium, and the announcer says first down, the first things out of my mouth are going to be 'Ole Miss,' " says Courtney Pearson. Pearson does admit to having reservations, but she says she supports the administration and whatever changes it deems necessary to make the university a better place.